After 12 seasons in the NHL, forward Travis Moen has announced his retirement. The NHLPA made the announcement on Tuesday. 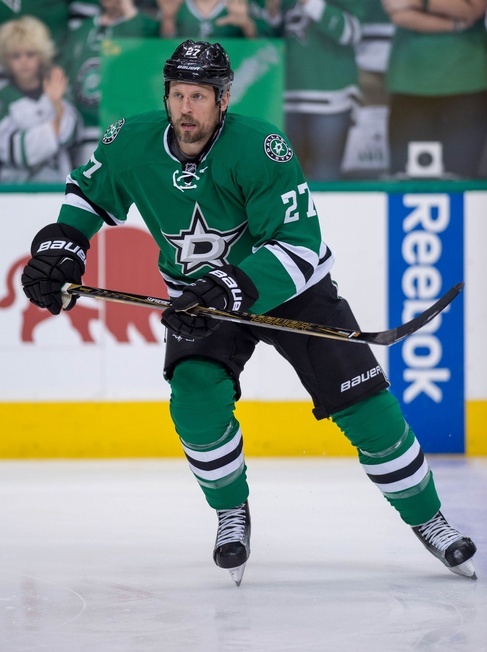 The 34-year-old spent bits and pieces of the last two seasons with the Dallas Stars and saw a steady decline in ice time, appearing in just 23 games last season and putting up just two assists. In 747 career regular season games with the Stars, Montreal Canadiens, San Jose Sharks, Anaheim Ducks, and Chicago Blackhawks, Moen has 136 points. His best season came with the Ducks in 2006-2007, when he put up 21 points – including 11 goals. That marked the only time in his career he reached double-digit goals. In 2009-2010, he put up 19 points with the Canadiens and scored two short-handed goals. Moen also won the Stanley Cup with the Ducks in 2007, where he put up seven goals and five helpers in 21 playoff games. Without a doubt, that period marked the most stellar run of his career and set an offensive bar that he never met again. Moen was drafted by the Calgary Flames in 2000, but he never played a single game with the club. He remained a member of the WHL Kelowna Rockets during that period and was signed by the Blackhawks as a free agent, making his NHL in the 2003-2004 season after a stint in the AHL with Norfolk. In the end, injuries probably hastened his retirement. Moen had a broken wrist and lower body injuries last season and that diminished his capacity.